German journalist Steffen Weyer was just one of over two dozen European journalists and Airbus reps who took in a tour of the Airbus facility while on the North American Airbus Tour. “It’s interesting to see how they’re built here and how they’re organized,” Weyer said. The Airbus North American tour began at their Canadian facility, followed by Columbus and then Mobile, AL, and was aimed primarily at visitors who were not part of the European operation. Airbus, an international company, has nearly 25,000 employees worldwide, including its four locations in America. 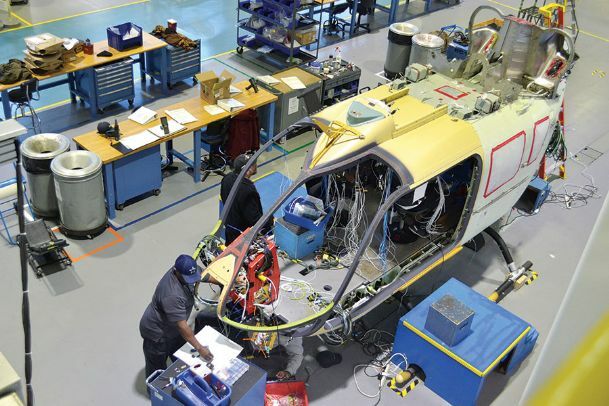 The Columbus location opened in 2006 and has nearly 200 employees who manufacture two to three Lakota Helicopters each month for the U.S. Army.